Have you spent much time on Google+? What do you think? CBSAC/NY co-president Penny Hammond and I recently used a Google+ hangout to hold our weekly teleconference and we were both delighted with the experience. 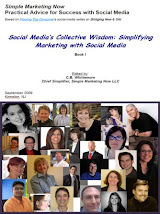 Given its rapid evolution - and social networking relevance - I thought I would recap Google+ links shared in my weekly Simple Practical Marketing In the News articles. I'll continue to add news ones as I come across. In the meantime, you'll find these articles helpful as you explore, experiment and spend more time. Please do let me know of other Google+ related articles you come across. I'll add them to the list! Happy Google+ing! Let me know what you like most/least and how you use Circles. What are you doing with people you're not sure what to do with? What other features are you delighted with? Happy Friday to you! 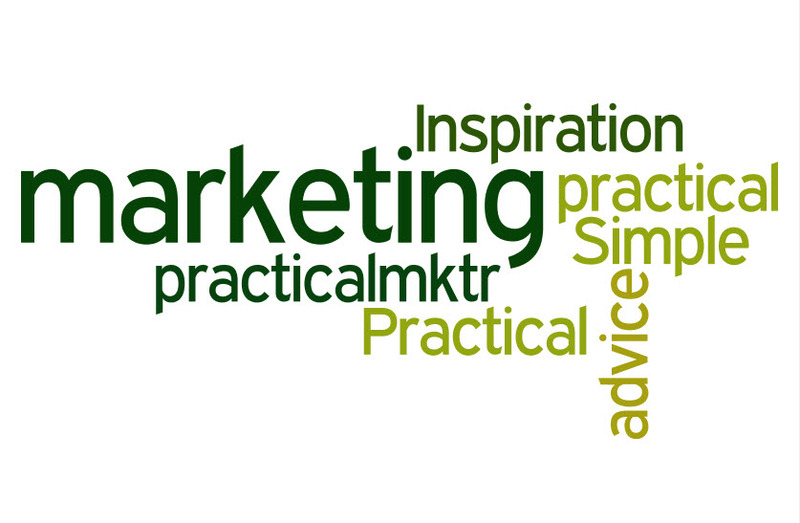 Here are links and resources shared on Twitter and tagged #practicalmktr grouped here together in Practical Simple Marketing In The News for 8/19/11. 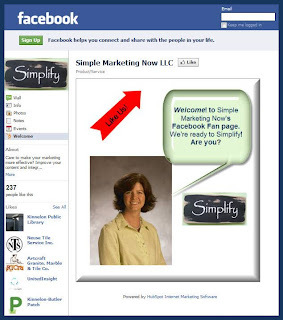 If you haven't yet 'liked' Simple Marketing Now on Facebook, I invite you to do so now. 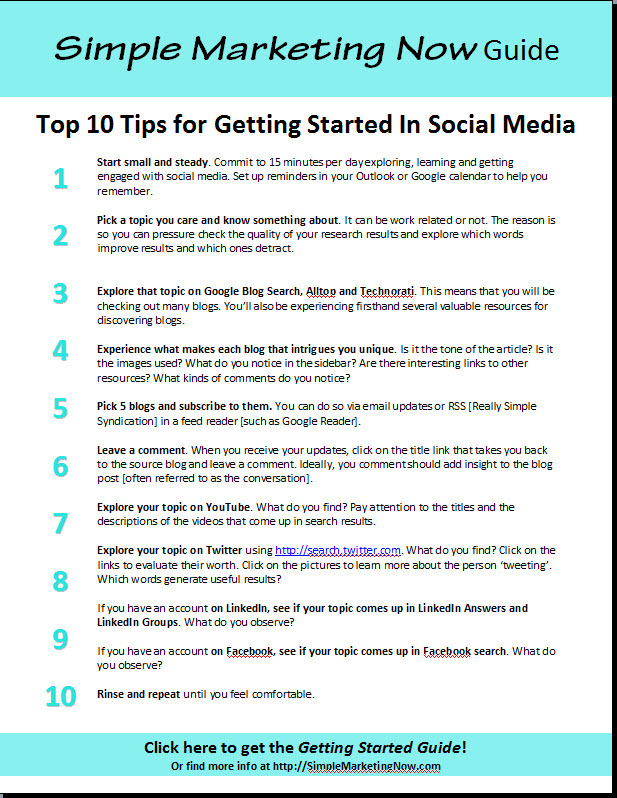 In fact, if you do, you are in for a treat... in the form of two Top Ten Facebook tip sheets! 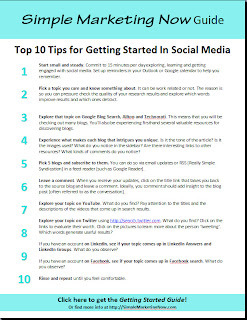 I inaugurated both tip sheets during my July Kinnelon Library Social Media Presentation Series [this link includes the Slideshare to my overview presentation for the series] and got terrific feedback. The best part about the Facebook focused presentation was learning that one participant, after considerable trepidation, decided to take the Facebook plunge [see Facebook & Social Media Wednesdays, Kinnelon Public Library]! She is now enjoying it under her terms. 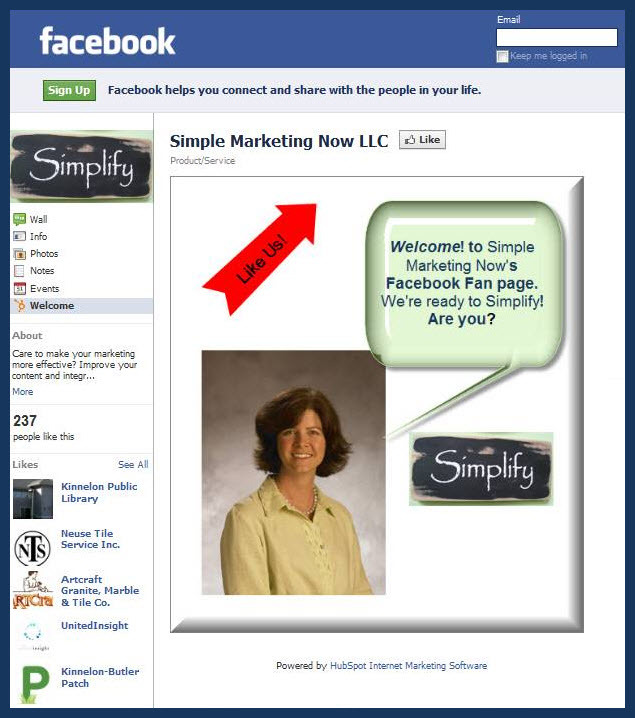 Back to the Simple Marketing Now Facebook page - I'd love for your feedback on my 20 Facebook Tips. Are they helpful? Would you add to the list? To download the tip sheets, simply click Like Simple Marketing Now, enter your email address and download. Or, if you're already a Fan [aka a 'liker'], simply go to the Welcome Tab on the left hand sidebar. There you can enter your email address and download the documents. Here are the 8/12/11 links and resources shared on Twitter and tagged #practicalmktr grouped here together in Practical Simple Marketing In The News. Have you come across instances of SEO [search engine optimization] that you just weren't comfortable with? Or that didn't read right on a website? The instances I've come across lately inspired this latest article in the How Do I social media marketing series: Avoiding Bad SEO. If, after reading that, you need some additional SEO inspiration, check out this other post titled: The Business of SEO: Get Found. What examples of bad SEO techniques have you come across in your web travels? What bothered you about them? What advice would you give business owners for avoiding them? Hurray it's Friday! 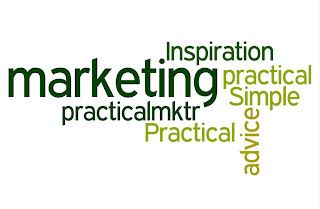 Here are the 8/5/11 links and resources shared on Twitter and tagged #practicalmktr grouped here together in Practical Simple Marketing In The News. Impressions + friends of friends = Facebook power! http://ow.ly/5Rf87 #practicalmktr How do you do it?